More than 3 million US cases per year. Treatable by a medical professional. Lab tests or imaging often required. Basal cells produce new skin cells as old ones die. Limiting sun exposure can help prevent these cells from becoming cancerous. This cancer typically appears as a white waxy lump or a brown scaly patch on sun-exposed areas, such as the face and neck. Treatments include prescription creams or surgery to remove the cancer. Imagine being 38 years old hearing you have basal cell carcinoma. As the data shows that’s rare. Sean developed an odd shaped raised mole under his eye. Being an esthetician I was aware that there could be something wrong. During his first visit a biopsy was taken and within 3 days we were informed that it was in fact BASAL CELL CARCINOMA. Immediately we began thinking about the sun and all the damage it can do, did he wear enough sunblock, could he have prevented this? The answer is yes and no. BCC (Basal Cell Carcinoma) isn’t hereditary but is often found in those of fair complexions . The way BCC was removed was through a procedure called MOHS surgery. Mohs Micrographic surgery is considered the most effective technique for treating many basal cell carcinomas. What they do is inject area with a numbing agent and proceed to dig the tissue out. The surgeon cuts the tissue into sections, color codes them with dyes and draws a map of the surgical site. In the lab, a technician freezes the divided tissue, then cuts very thin horizontal slices like a layer cake. The slices are placed on microscope slides, stained and covered. This meticulous process takes time. Luckily for Sean he was one and done. His recovery was easy. Mild tenderness and an exterior scar that would heal over time. BCC has left its imprint on Sean, he’s overly cautious about skin protection and realized that some of the damage could have occurred when he was younger. As youths we don’t really prioritize skincare protection. It’s imperative we educate EVERYONE about proper skincare and the importance of the use of sunscreen and how to correctly apply it. 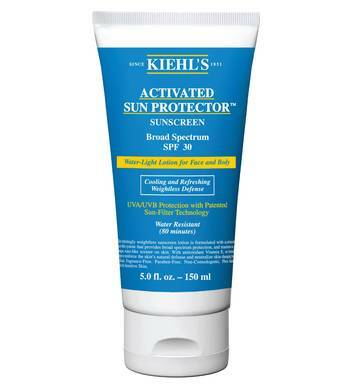 Equate Sunscreen; This SPF 50 sunscreen lotion gives your skin the UVA/UVB protection you need to help prevent sunburn. Equate's sunscreen is paraben-free so it's safe for the whole family to use.